Before we delve into Pretty in Pink, I want to bring to light something new I learned this month. Not only is it Breast Cancer Awareness month, but it is also National SIDS, Pregnancy, and Infant Loss Month. It is also Down Syndrome Awareness Month. I’ve learned a lot about these in the past couple weeks, and I’m glad there are champions of these causes, as I think we would all benefit from learning more about them. Alright, why the Pretty in Pink series? Well, I’m an oncologist, and as much as I love design and DIY, treating breast cancer is my other passion. Breast cancer is the most common cancer in women (aside from skin cancers), and 1 in 8 women will develop it during their lifetime. In an effort to combine these two passions of mine, the remaining half of this month, aquahaus will feature different bloggers in a limited series- Pretty in Pink. In this series, each of these amazing and talented women will share their experiences with breast cancer and then showcase a space in their home or a project which includes some pink! Obviously, it’s mid- October, and I’m definitely behind the eight ball. It’s tough because we’ve been traveling, living out of our trailer, so it’s been hard to be able to blog consistently. Despite that, and despite the fact that the month is half over, I still want to share some new stories with the Pretty in Pink series. This was a huge success last year, and this year, I have some awesome new friends who have graciously agreed to share their experiences. Each of these women is incredibly inspiring, kind, and generous. I’m so excited that they have graciously afforded some of their time for this series. Ultimately, I hope that this will serve as a platform to continue to increase breast cancer awareness. When I was 9, my mother was diagnosed with breast cancer. At such an impressionable age, I was struck by how caring and knowledgable her doctor was. He saved my mom’s life and our families are friends to this day. That admiration and respect propelled me through years of schooling. At the end of some days, I realize how privileged I am to be able to care for someone’s mom or sister or daughter. I cherish the opportunity to forge my own lifetime bonds with patients on a daily basis. 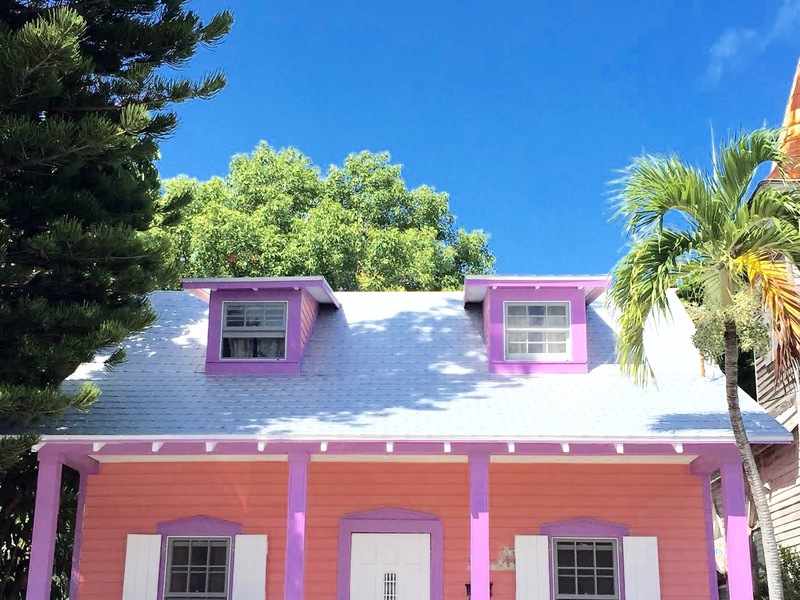 As far as displays of pink, I won’t be discussing a space in my home (since I have no home), but particular places and moments on this road trip with flashes of pink that wowed and inspired me. This road trip has been soul- restoring. It is humbling to travel the country and see how small you really are. One particular thing that struck me is how much beauty there is everywhere. I used to think to myself that I could never live in Ohio (sorry Ohioans), or in South Dakota (sorry again), but that is no longer the case. Every state has its own caché and beauty. 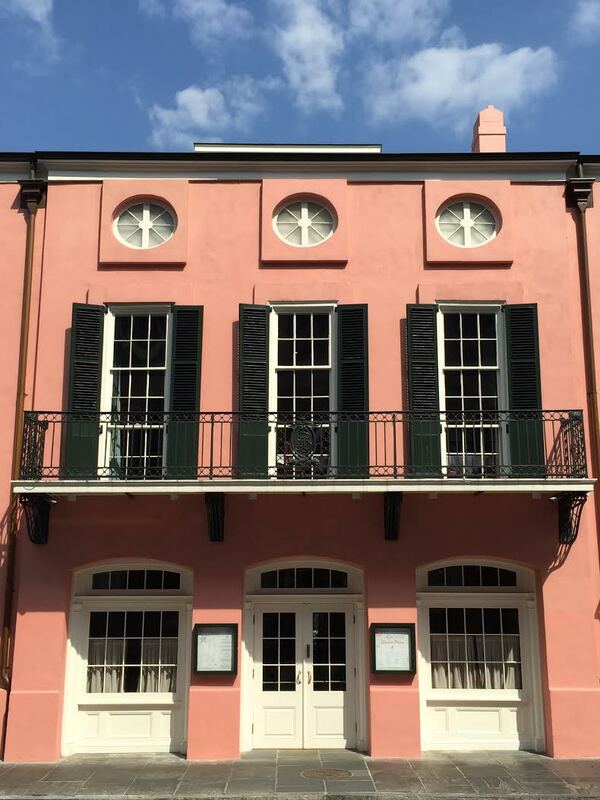 This is a salmon hued building in the French Quarter. The whole city of NOLA is one giant instagrammable moment and I loved it. Walking around, I couldn’t help but fall in love with every old building, wishing so much I could buy one and restore it. I mean, the sunsets here were absolutely unreal. 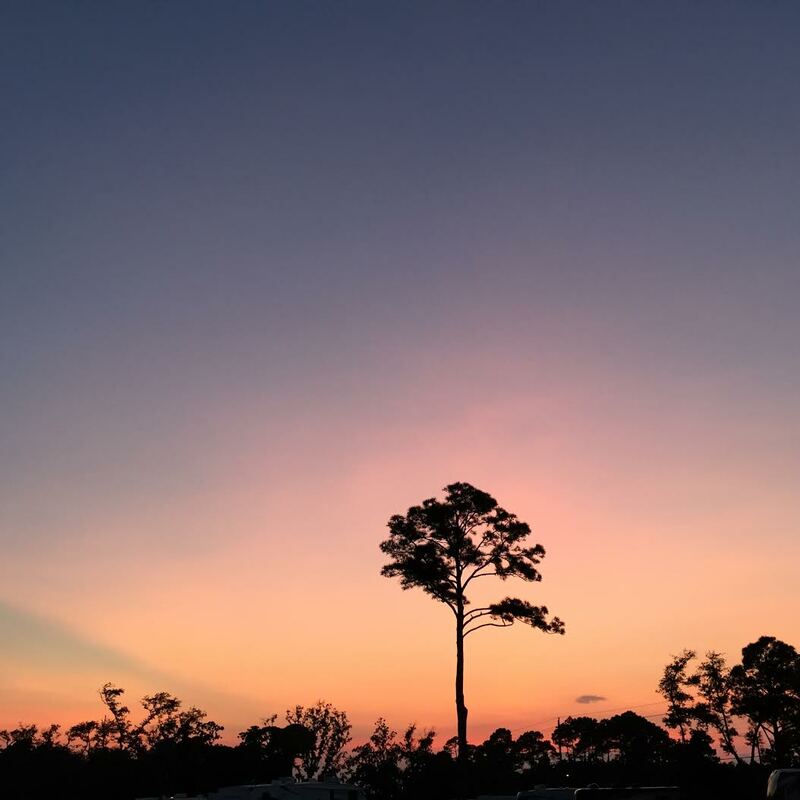 We’d sit outside the trailer at sunset, having a glass of wine, and marvel at the colors. Nature is the best artist. 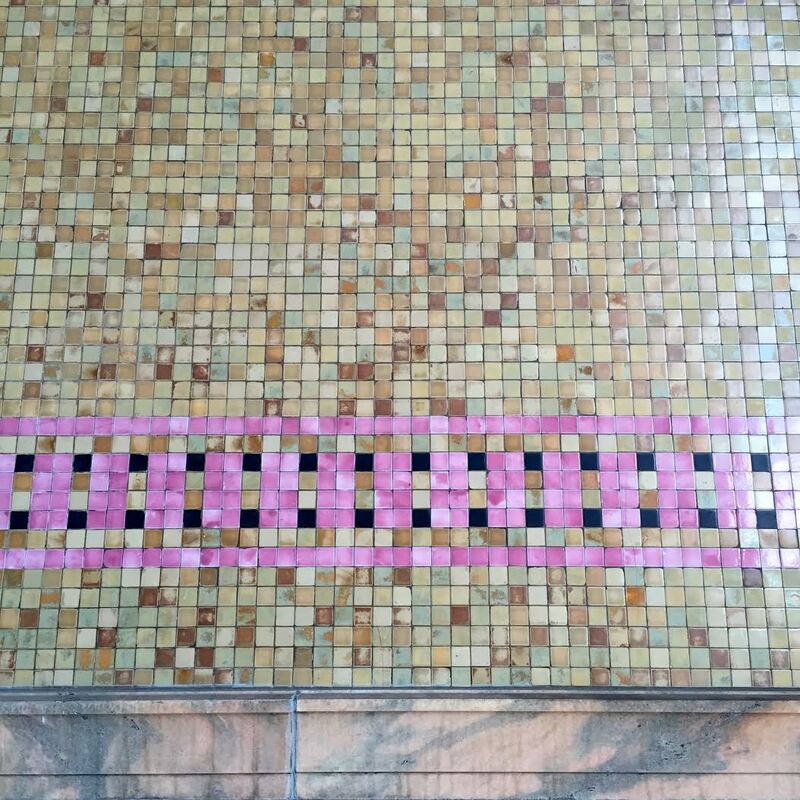 We walked around the downtown and I couldn’t believe the beautiful pink mosaic tile on one of the government buildings. The pink marble was equally as beautiful. These are so awesome and they are custom made for you. You tell the guy what color you want and the chairs are super comfy and $140!!! 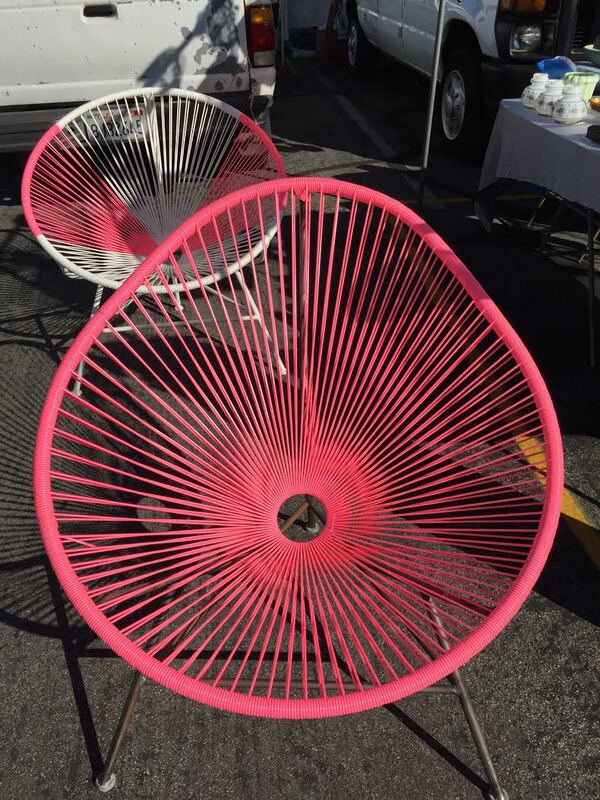 I loved these hot pink beauties. Stay tuned for the next installment of Pretty in Pink!! I have been following you for awhile and love your posts and pictures and perspective on life in general. Love the pretty in pink tribute:) You’re an inspiration. On another note: My husband and I have an Argosy and plan a similar trip when he retires! Safe travels and best of luck with your new job and adventures! Wow Danna. That is so kind of you to say. Thanks for taking the time to leave such a sweet comment. You just made my week!! !